Specialised community care is needed for people with challenging behaviours so they do not end up on psychiatric wards or in residential homes. That’s the view of the NHS watchdog the National Institute for Health and Care Excellence (NICE). It says these they should only admit people to psychiatric wards or residential homes as a last resort. If admitted they should be as close as possible to their own home, the guidance advises. Estimates suggest there are 1.2 million people with a learning disability in England. Around 10-17 per cent of them have challenging behaviours. Jonathan Senker chairs NICE’s guideline committee. He said care organisations hospitalise people with learning disabilities because specialist support is unavailable. He said NICE aims to “break this disruptive pattern of care”. The draft guidance recommends that care organisations appoint a lead commissioner to ensure the right support is available. Also, a ‘named worker’ from the community learning disability team should co-ordinate care. 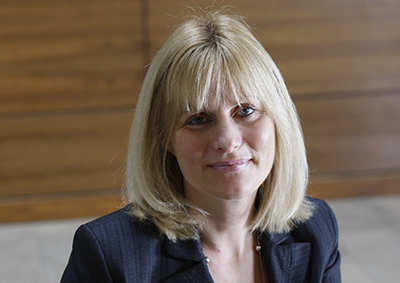 Professor Gillian Leng is NICE’s deputy chief executive. She said providing support locally will ensure someone who needs treatment doesn’t have to be away from home. Leng said the NICE advice will set out how services can “deliver good care” to “meet needs”. An NHS England spokesperson said the NHS is running a national programme to improve learning disability services. The programme is enabling “record numbers” to live in the community, added the spokesperson. A spokesperson for the Local Government Association said councils are working as part of the transforming care agenda. The aim was to offer “high quality community support” to enable people to remain in their communities. The NICE recommendations can be viewed by clicking here.